It took me ages and I mean AGES to decide what to pack for the girls to take on our ski holiday. 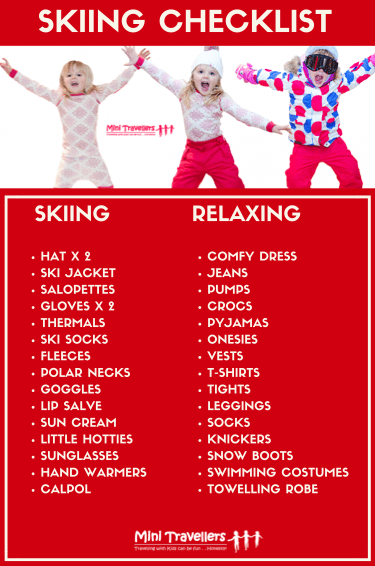 So here is our skiing with kids packing checklist! I put this together when it was my first time skiing and when I was a little apprehensive about whether they will be too cold, too warm, get too wet etc etc. Hubby thought it was hilarious as he is seasoned skier and keeps trying to tell me it isn’t a whole new world; it is just having fun in the snow. Anyhow, as I worried and stressed about what to pack, I thought I’d share with you what I have decided to pack for each of the girls. 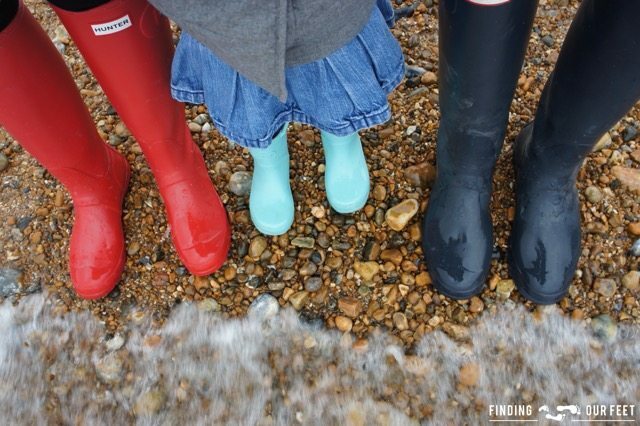 ‘ve packed some items specifically in duplicate such as two pair of gloves per child and two hats each (they obviously lose them as I can imagine you will all be aware of if you have done a winter with kids). I have also packed little hotties. These duplicate items were essential!! If kids have cold hands from wet gloves they won’t be happy. If they lose their hat they won’t be happy. If they can’t get warm at all they won’t be happy etc etc. However if you can replace the missing item, and keep their hands warm, then they will be happy and you can all have the time of your lives! Oh this is so helpful! I love a good list!! Great list very handy for anyone planning to go skiing and good tip on the gloves and hats I hate being cold! We are going on our first ski trip with the kids and this has come in right handy! Thanks lovey. Oh how exciting when are you going? I never went skiing before with my son, so we are having our first one the coming weekend. Your packing list will help me a lot about what to pack and prepare for the skiing. Thank you! !